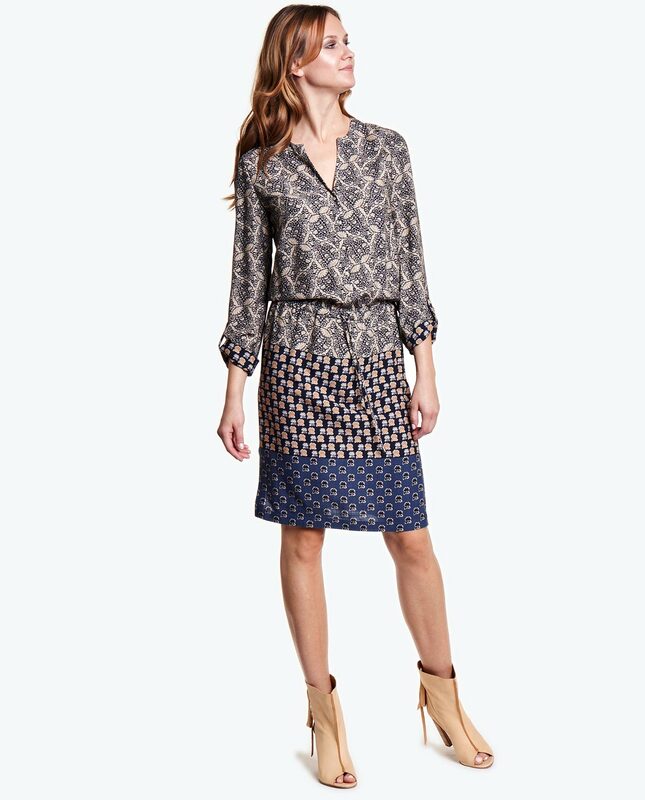 A patterned long-sleeved dress. This is a timeless and relaxed style, ideal for many looks. It will prove a perfect pick for casual occasions and evenings out. Its simplistic design is complemented by a lace around the waistline which flatters the silhouette and makes it look less formal. There is a button fastening on top of the dress and short side slits. The sleeves can be rolled up. The garment is anufactured from fabric that feels very pleasant to the touch and is very comfortable to wear.